I made a couple of #BoredomCuties tonight! My internet was being super slow tonight downloading the new GP so I figured I would play around in CAS. Ellie loaded up when I opened CAS and I changed hair color, makeup, and clothes, then I made her brother, Max, with genetics and I think he’s a cutie, too! 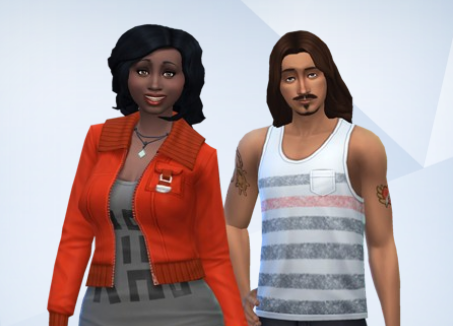 You can find them on the gallery with CC checked (so sorry!) under origin id meggles87. I can grab anything you need from the game if you actually want them and I can figure out where I got the CC from. I will say that I used the skins and eyelashes found on my credit page (the detailed version 😛 ).